Something all Canadian beauty fans deal with is product availability. If you're not Canadian, it's easy to assume brands distribute the same products in US and Canada- that would make sense- but that's not always the case. From time to time we just don't get the same products our US sisters get. It's totally unfair, and there is usually no reasoning behind it, but what can you do? Thankfully, we live in the internet age, so most anything you want can be obtained if you just have to have it. 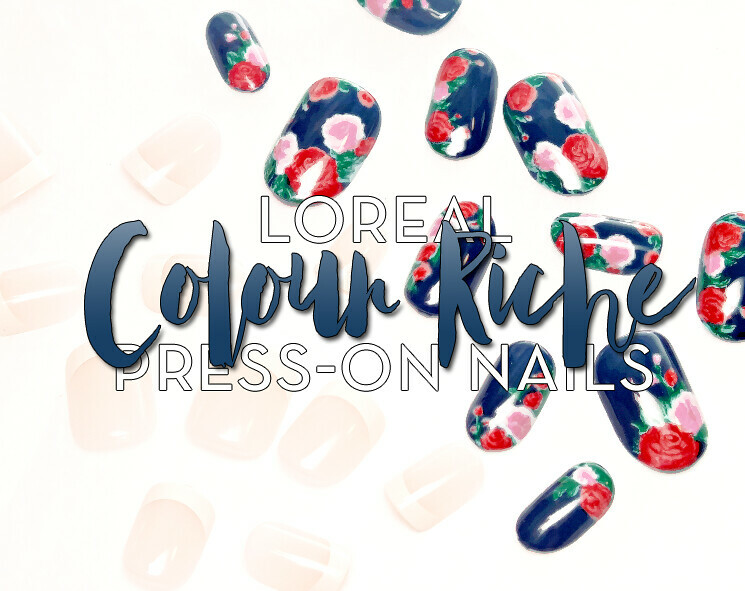 Anyway, the tables have turned, as L'Oreal has released eight Canadian exclusive nail art designs as part of their Colour Riche Press-on Nails range. 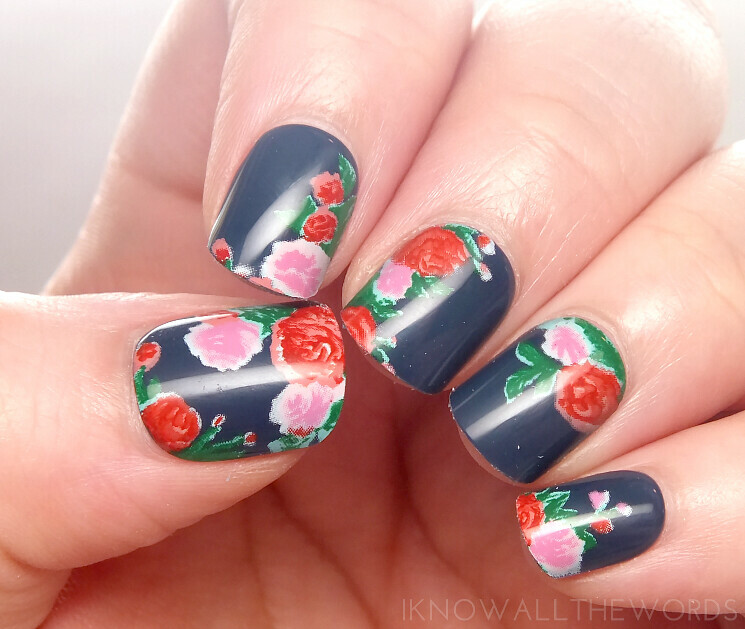 Read on for a closer look at two designs- Pardon My French and All Over Rose. While press-ons aren't something I reach for all the time- I'm pretty happy with my natural nails- these designs most definitely speak to me. I can't help but wish they had been released as wraps... Anyhow, the application process is quick and painless. 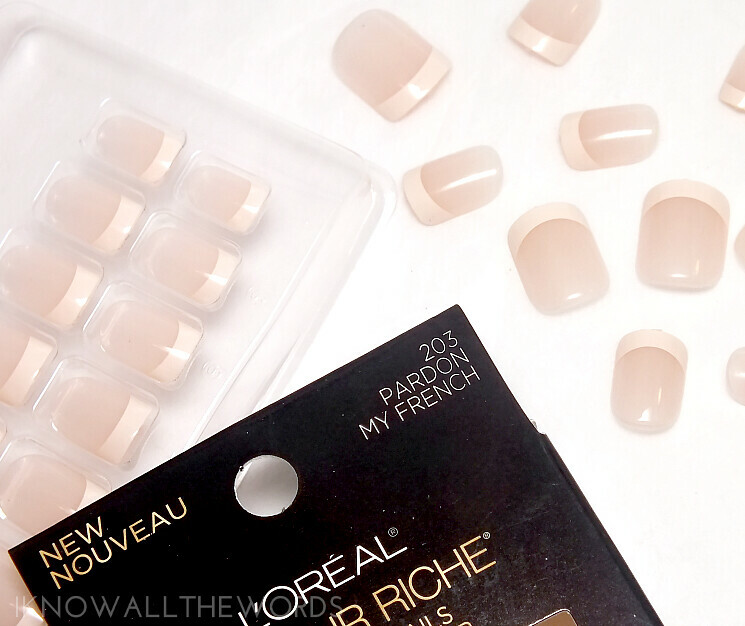 You simply select the nails that match your own, apply the corresponding adhesive tab, and press-on the nails. 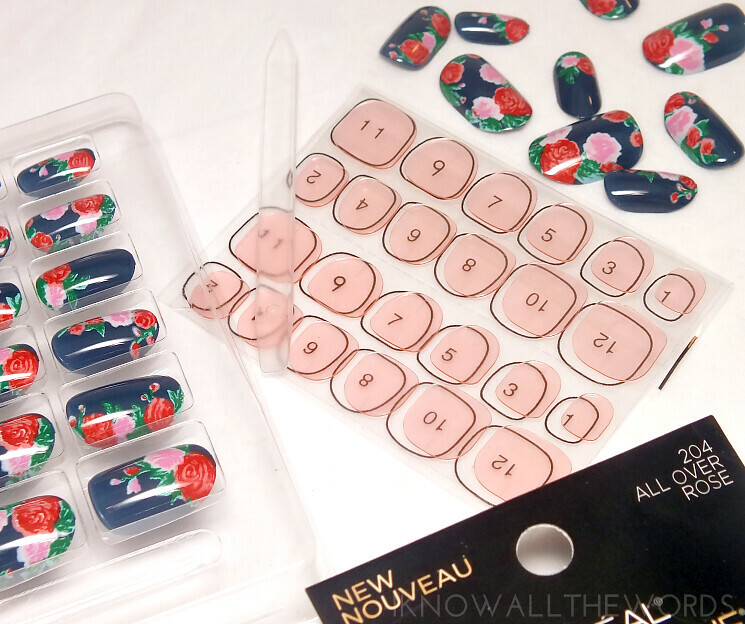 I did find that the sizes printed on All Over Rose were backwards to the sizes on the adhesive, but it was easy enough to chose the correct size as the tabs are transparent and can be held up to the nail. Overall, I'm very pleased with both the designs and fit. I love that these are so quick and easy to apply- ten minutes and no dry time! 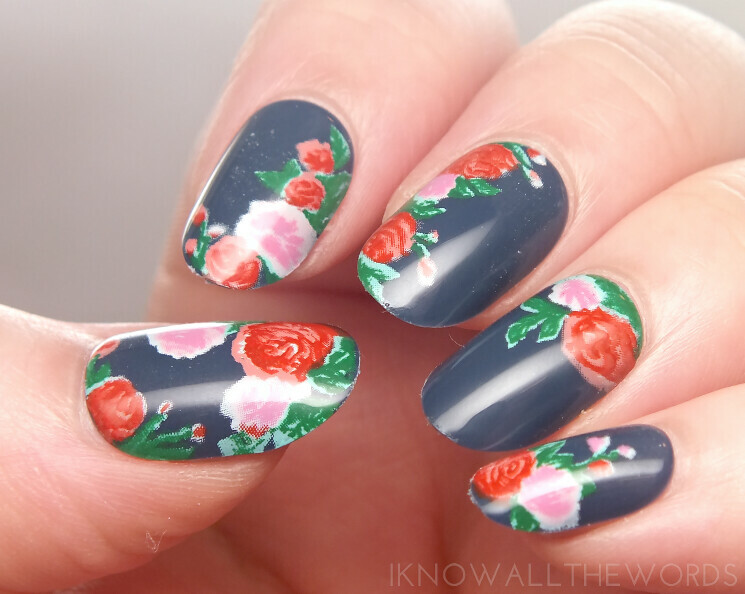 Plus, you can't beat nail art without any of the work. 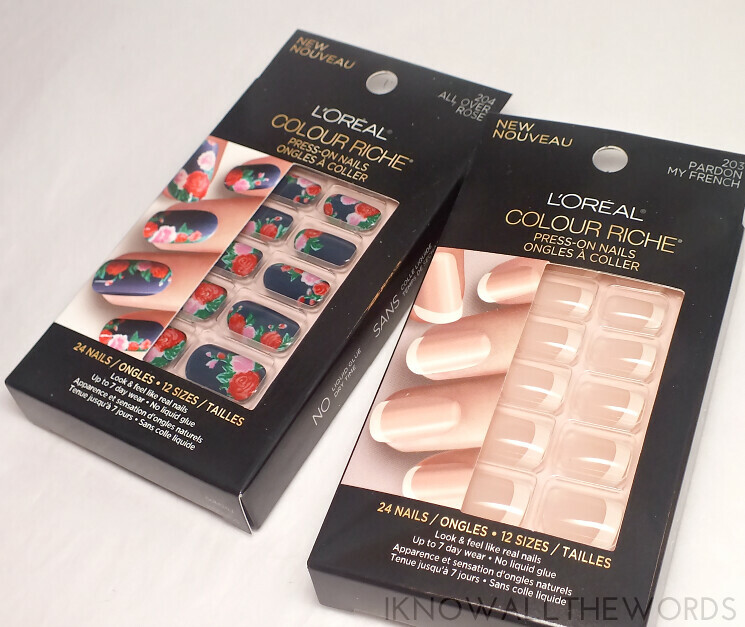 While these designs are Canadian exclusives, L'Oreal Colour Riche Press-on Nails are available anywhere L'Oreal is stocked. The Canadian exclusive designs are available now at Shopper's Drug Mart and mass market retailers and drugstores across Canada. What do you think of press-on nails, yay or nay?